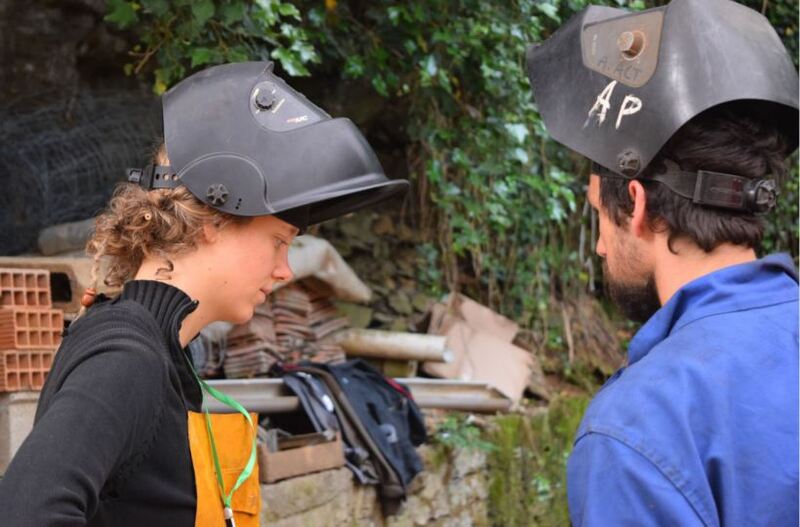 Farmer, tool hacker, organizer, and self styled agricultural anthropologist (and, we’re proud to say, a GH blog editor) Samuel Oslund takes us on a journey into les Rencontres de l’Atelier Paysan. Les Rencontres is a yearly gathering of farmers from across France, hosted by our French farm hacking heroes l’Atelier Paysan (roughly The Peasant’s/agrarian Workshop). The event is a hands on skill sharing celebration, filled with food, good wine, and some fairly strange music. Beyond throwing memorable shin digs, the farmer-run organization works with agrarians across France designing and developing user based, co-designed tools and implements. All of their open-source plans are available online and in a beautifully produced manual. Among other things, L’Atelier Paysan is creating a unique business model that fosters collaboration and skill sharing. Click here for the photo essay.